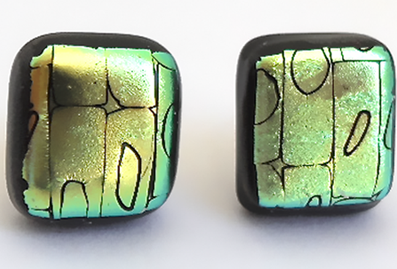 Square stud earrings - a Black base with Gold patterned Dichroic glass on top. They have a matching pendant. They measure 0.9 cm x 1 cm and are made of two layers of glass. A Black base layer and then a layer of Gold patterned Dichroic glass. They come in a Black card gift box.